We are engaged in offering a Data Conversion services. Data entry of hand written documents is done with great accuracy. The process of OCR scanning (Optical Character Recognition) is done for converting computer printed text documents into an editable format such as MS Word or searchable PDF files. PDF files are converted to word or excel format using accurate and latest tools. Stream Perfect is, specialized in the Data Conversion Process flow. Our team is handing different data formats, for the last 9+ years, for our international clients. You can trust the Stream Perfect, for cost effective and timely delivery of the processed documents. We provide Data Conversion services to our clients across the globe. 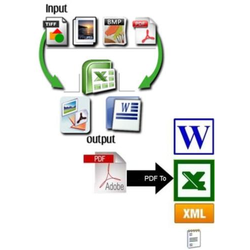 We convert source data of any format to file formats such as PDF, XLS, Doc, HTML, XHTML, XML, JPG, PNG, ePub, Mobi etc. Akuva InfoTech provides services in legacy conversion or digitizing work on drawings. For retrieval of documents, we provide document retrieval software with advanced search facility and user friendly. Akuva InfoTech makes sure that the input and output of the customers document is fully secured and safety. Erase your Media Content that matched beyond data recovery with the CSSI data erasure service. This will completely erase data from any type stoarge media such as Hard Disk Drives, Flash Drives, SSD's etc. by most trusted and customerized algorithm developed by CSSI. - Database Creation and Configuration : Making the Client Data compatible to Target System. - Defining Classes& Categories : Defining additional classes which are specific to the client to map the data into the target system. 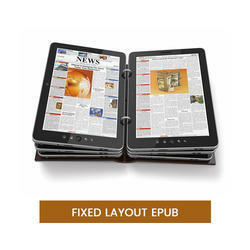 - Convert from MS Word to Frame Maker, ePub, DITA / XML, Robo Help, and others. Our team of 4 Qualified, Skilled and Experienced Computer Operators execute and complete the project of Data Conversion ( pdf / gif / xls to Word) within the scheduled time frame and the required Quality Parameters of our Clients. Novel Web Creation unique designs provide you with everything you need to build your brand to new levels. With the finest designs incorporating company branding, typography and usability you do not need to look any further. All of our design and development services include 3 tier tests from our experienced web design professionals. We specialize in creating sites that meet all of your needs.